Sheep Tales began in 2011 as a Heritage Lottery funded project to create a permanent archive of shepherding memories gathered in North Northumberland for future generations. The initial project was 18-month collaboration between local United Reformed Churches and community arts company “Think Make Grow” funded by the Heritage Lottery Fund. It was developed with the help of a steering group supported by local historians, artists, Christians, farmers and representatives of the Glendale Show. 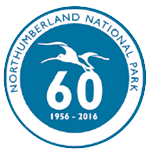 The project also owes much to the continued support provided by Northumberland National Park. All involved brought their own support and perspective to this unique project. The project compiled an archive of over 1100 photographs, newspaper cuttings and documents and made 43 oral history recordings that show just how much shepherding and the lives of people living in rural communities in North Northumberland have changed over the years. The project shared this wonderful archive with the local and wider community through a series of interactive events for all ages. It also used the archive to create a DVD for sale called “Sheep Tales and Spinning Yarns” and an education pack for use in schools. The project archive was also used as the basis for a nationally touring show called “Sheep Tales” performed by Sally Tonge and Chris Eldon Lee. In addition to archiving the past, the project also looked to support the future of the thriving local community of contemporary makers and artisans building on the region’s rich wool related heritage. 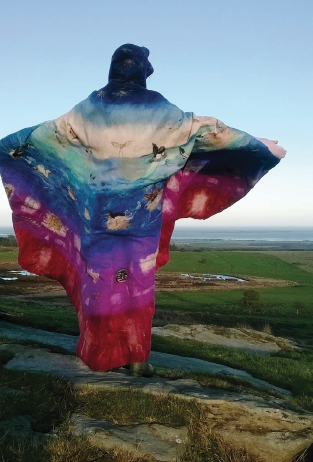 The Sheep Tales project promoted these local artisans, crafts and products to a wider audience through the provision of events, demonstrations and workshops. The initial 18 month archiving project was officially completed in 2013, but the craft aspect of the project continued to flourish. So in 2014 Sheep Tales became a constituted group (a small, non registered charity and continues to this day with much the same aims as the original project. See What We Do Now to find out more.